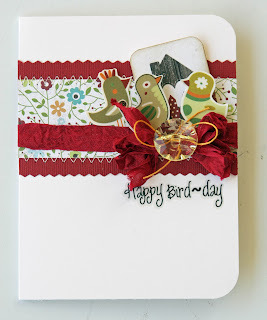 Liz's Paper Loft: Monday Hop with EAD Designs ~ Happy Bird Day! Good Morning, Happy Monday and welcome to EAD Designs Monday Blog Hop! 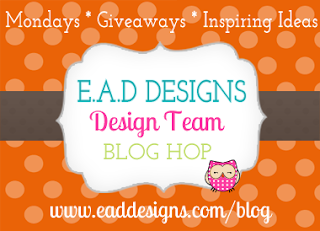 I'm the start of the hop this week, however please head over to EAD's blog for the start. Be sure to leave a comment along the way so you can be eligible for this week's giveaway! 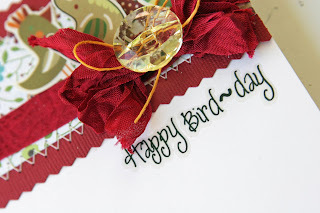 Today I wanted to share a darling "bird day" card! This card was made for my step mom, I'm hoping she doesn't see it here before it arrives! Aren't those the cutest stickerz!!! I think they were made for this paper!!! What do you think of the clear yellow button? I'm hoping that you like them, since they will be available in my boutique sometime this week! 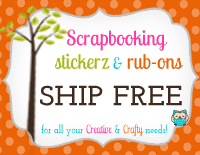 You used my favorite stickerz!!! LOVE your awesome card! The CAS design, the awesome stitching and your beautiful twine and ribbon....OHH and the button is fab!! 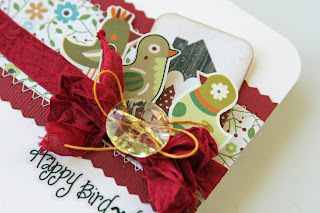 Liz ~ BEAUTIFUL and CLASSY card! LOVE the white with those bold colors! Of course the details are AMAZING as always! I just LOVE your style and your products!!! Oh the stickers too! So Pretty. Love everything about this card. Something against the white background just makes everything pop beautifully. 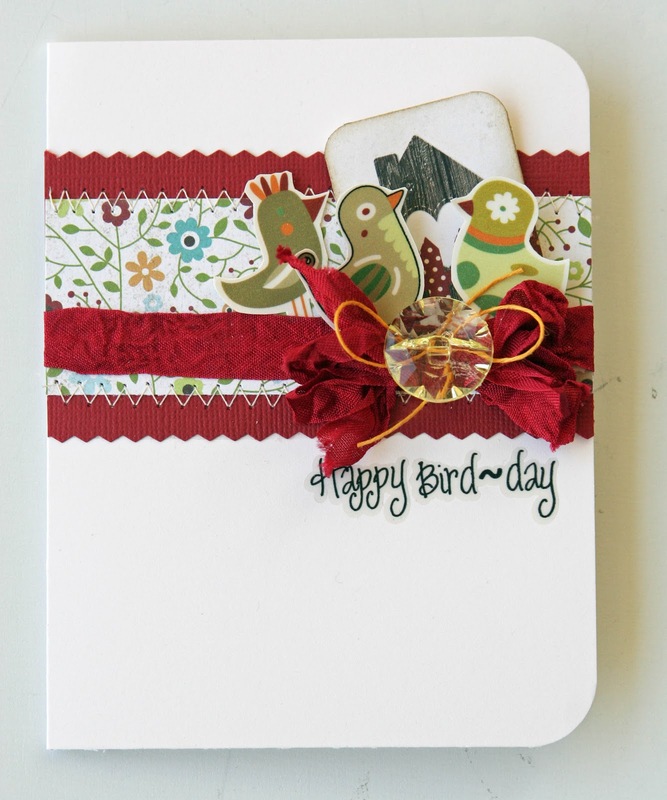 sooo cute, love the birdies and sentiment!!! So adorable Liz!! I can't believe they are stickers...so awesome! What an adorable card! I am sure your step-mom will love it!! I agree with you..it does seem like the stickers were meant for that paper. 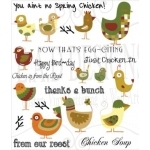 Cute card. Love those chicker stickerz. I agree, the birds look like they were made for that paper. I like the way you clustered them together. tweet! love how they are clustered!